Recently opened in Marine & Walk Yokohama, Nakame Takkyu Lounge is a brand-new ping pong venue in Minato Mirai. 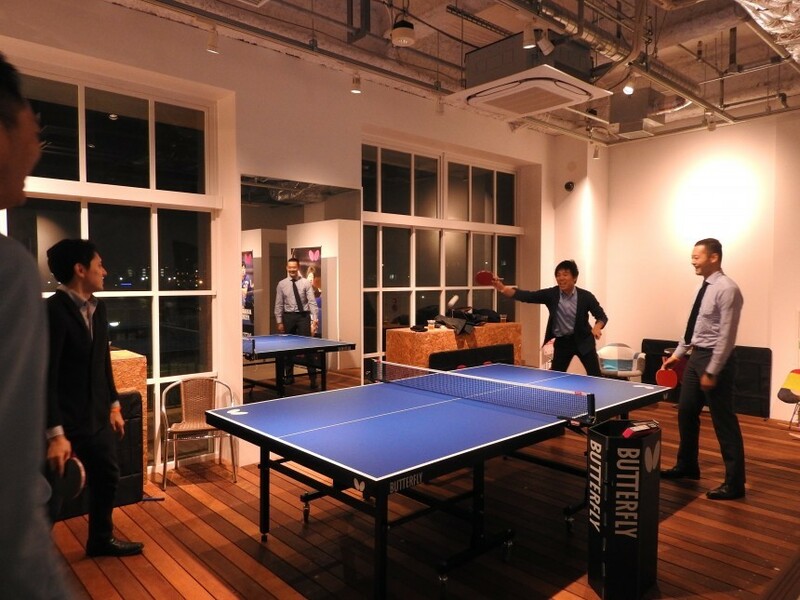 The third location run by Akira Kamiyama, the Yokohama branch promises players of all levels seaside views between matches of ping pong or “Headis” and rounds of beer and sandwiches. A collaboration between Wright Films, Inc. and top table tennis brand, Butterfly, it is no surprise that Nakame Takkyu Lounge possesses state-of-the-art projectors and lighting for cinema events. The brilliant blue tennis tables can be shifted about to make room for art shows by Yokohama artist, Yuji Hirayama, or whatever other fun guests might have in mind. An education room provides a play-and-learn space where family-focused events are planned and English is taught through ping-pong classes. The question, though, remains the same as it did 15 years ago, when Kamiyama opened the doors of his first establishment in Nakameguro: Why takkyu (ping pong)? Different, indeed. As guests mingled around brand new Butterfly tables and the distinct sound of hollow plastic balls hitting tables echoed, the bar”s atmosphere felt light and open, even in the evening. 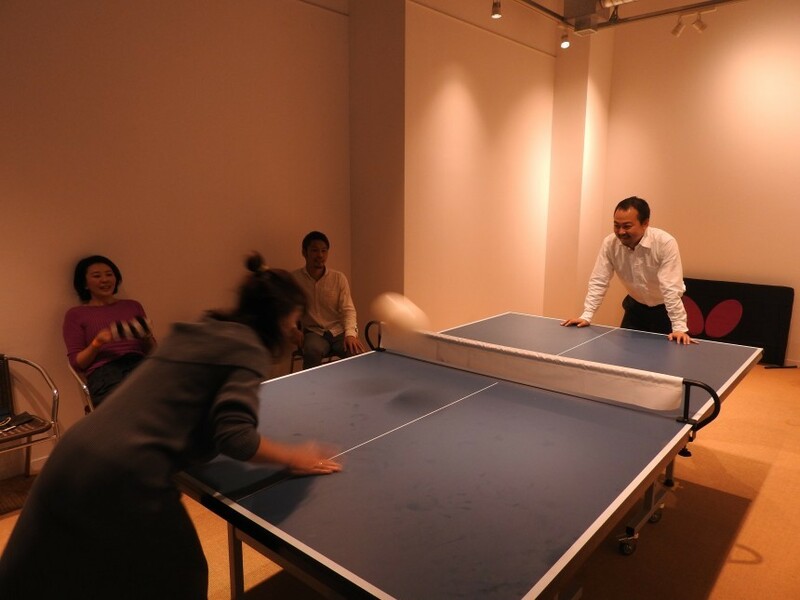 The bright, well-lit room is an upscale version of what many people will recall from the basement rec rooms of their youth or community centers here in Japan, where ping pong is a favorite of all ages. While some serious players were on hand, there were plenty of players with a cup of craft beer in one hand and a paddle in the other. “It gives people a chance to talk and interact,” Kamiyama continued as we watched a nearby doubles game dissolve into laughter. On the second floor of the one-year-old Marine & Walk, Nakame Takkyu Lounge is the newest addition to this upscale warren of cafes and shops. With floor to ceiling windows, Nakame Takkyu Lounge has plenty of room for groups and families as well as individuals. Two kid-size tables are perfect for pint-size players, while off to one side is a Headis table. 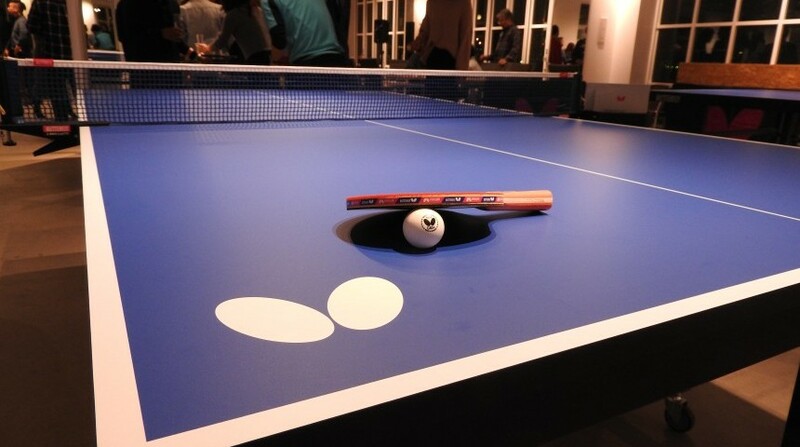 A new sport, players face off over a ping-pong-sized table using their heads rather than paddles to hit a soft ball similar to a volleyball. In keeping with the breezy atmosphere, an ample number of brightly colored tables and chairs give the space a seaside patio feel. 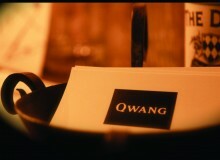 Japanese and international beers are served along with an assortment of French-style sandwiches. 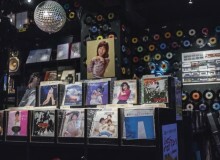 Nakame Takkyu Lounge also builds on the increasing popularity of the game and players like Ai Fukuhara—a Japanese table tennis player who took silver and bronze at the 2012 and 2016 Summer Olympics, respectively—and movies like Ping Pong, a 2002 film based on a popular manga of the same name. Fifteen years ago, a place like this was a cutting-edge idea. Today, it continues to fill a niche. Jackets and heels were off and sleeves rolled up as a pair faced off over the Headis table. Barely able to keep a straight face, a young man hits the ball over the net. His opponent, a young woman, lunges across the table to successfully return, and laughter ensues. “It’s so difficult,” she laughed pulling her hair back into a ponytail and readying herself for the next serve. 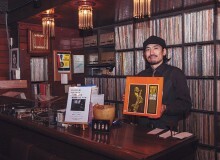 Nakame Takkyu has additional branches in Nakameguro and Kawasaki.